Snowstorms and frigid winter weather are no match for Pajar Canada's Debby boot. 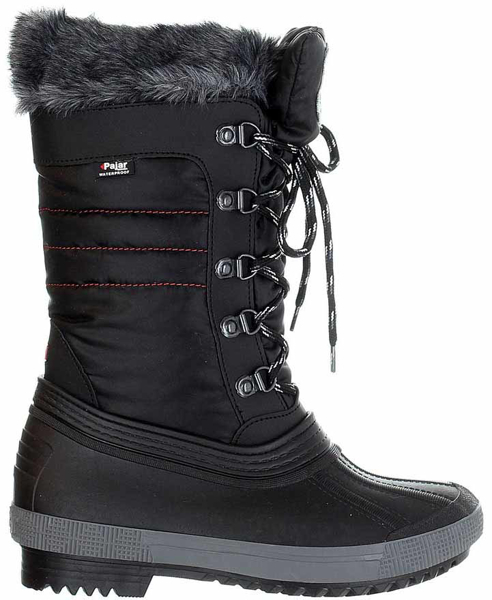 Expertly crafted in waterproof nylon, the upper is entirely seam-sealed and comfort rated to -30 °C (-22 °F) and features our weather proven Pajar-Tex waterproof membrane bootie to keep your feet snug all winter long. The signature Pajar Canada rubber sole with traction lug features a 1-inch heel that will get you through icy streets in style keeping you surefooted all the while. Our premium insole features a cushy wool and aluminum blend that is both breathable and anti-microbial. The waterproof upper has been pre-treated to repel water and stains.